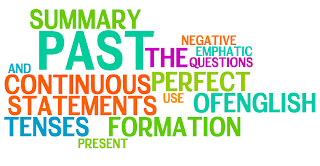 The Past Perfect tense is formed from the Simple Past of the auxiliary to have, followed by the past participle of the verb. The contraction it'd is less frequently used than the other contractions, since it is more difficult to pronounce. As is the case with other English tenses, questions and negative statements in the Past Perfect tense are formed using the auxiliary. I had worke Had I worked? They had worked. Had they worked? I had worked. I had not worked. They had worked. They had not worked. Had I not worked? Hadn't I worked? Had they not worked? Hadn't they worked? I had worked. I had worked, hadn't I? They had worked. They had worked, hadn't they?